The sewer lines in your home are a vital part of the plumbing system. Wastewater from your sinks, showers, and toilets is carried away through these lines and sent to the city’s sewer main. It’s important that these sewer lines remain intact, and one of the best solutions for a sewer pipe problem is a sewer pipe lining service. Tree roots can be as thin as a human hair and they are always looking for water. When they reach the sewer line they will penetrate the pipe through any tiny crack or joint opening they can find. 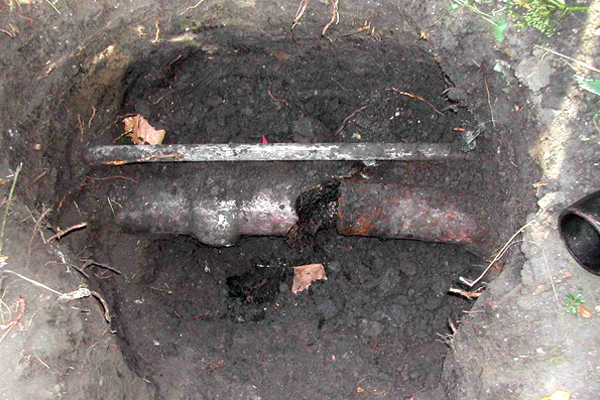 Once inside the pipe, roots have a perfect environment to thrive in. They will have access to lots of water and plenty of nutrients, so they will grow larger and denser, increasing pressure on the pipes. If they are not promptly removed, they can cause the pipe to break. If you notice that typical sewer smell in your house or garden or if there are lush patches of grass or vegetation suddenly appearing on your lawn, it could be a warning sign that something is wrong with your sewer line and that it should be inspected. While in some cases the best solution will be to dig up the pipes to repair them, most of the time you will be able to use a trenchless approach, where you don’t need to worry about destroying your landscape to reach the pipes. We are experts in this kind of trenchless sewer pipe lining in Pompano Beach, Fl. Once you are visited by our highly-trained staff, we will first do a video inspection of your lines. The technician will assess the condition of your pipes and determine if relining is the best option. If it is, the line will be cleaned using a high-pressure water stream. After cleaning, the line will be video inspected again to make sure it is ready for lining. This is done by coating a liner with a special resin. The liner is then pushed into the pipe with compressed air and a bladder is filled up with water to make the liner expand and completely cover the pipe’s inside surface. After a few hours, the resin will cure, the bladder will be deflated and removed, and the resin will create a pipe within the pipe, which covers any broken pieces and patches up any leaks. Once again, a video inspection is done for quality control and to make sure the problem has been solved. The beauty of this process is that it only requires a small hole to access the line and it can be done in less than a day. This will save you time and money and you will have your line working again once you get back home from work. Best of all, the new relined pipe will have a life expectancy of over 50 years. Before you dig and replace your problematic line, give us a call and find out if a trenchless sewer pipe lining is an option. Only a pipe lining expert can get the job done as you need and our staff has the knowledge and access to the most recent technology to finish it to perfection. You know that a company cares about the quality of their work when they stand behind it. We have some of the best Pompano Beach sewer pipe repair and pipe installation warranties and guarantees in the industry because we know our staff and our products are the best in the business. Our passionate technicians are friendly, clean, polite, drug-free, and experienced while both our parts and products are state-of-the-art—guaranteed!